SNOW IN SUMMER CAN BE RIGHT ON TARGET! Target stores nationwide as well as at your favorite bookseller! The Life We Bury by Allen Eskens is a chilly mystery to beat the heat! This suspenseful, heartfelt novel has been earning numerous accolades, including being a finalist for an Edgar(R) Award, Minnesota Book Award, and Anthony, Barry, and Thriller awards. It also won the Left Coast Crime Rosebud Award for Best Debut Mystery. Check out this personal video from Eskens that shares his rather surprising journey to becoming an author! A RIVETING READ FOR SUMMER! "Rader-Day again proves herself a deft manipulator of dark atmosphere, witty dialogue, and complex, charismatic characters. Highly recommended for psychological thriller groupies." New this month, Little Pretty Things is the highly anticipated new novel from Lori Rader-Day, author of last year's acclaimed, award-winning debut novel, The Black Hour. In Little Pretty Things, old rivalries never die...but some rivals do. Twenty-eight-year-old Juliet Townsend works a dead-end job cleaning rooms at a one-star motel. Then one night, her former best friend and high school track rival Madeleine Bell checks in, glamorous and flashing a huge diamond ring. The next day, Maddy is found murdered, and Juliet is the chief suspect. To clear her name, Juliet must revisit the past, uncovering long-buried secrets in the process. Read more about this new release in James W. Ziskin's interview with Lori Rader-Day in The Big Thrill! Lori Rader-Day is the author of The Black Hour, which was a finalist for the Mary Higgins Clark Award and Left Coast Crime Rosebud Award, and is nominated for the Macavity, Anthony, and Barry Awards. It won the 2015 Lovey Award For Best First Novel. Rader-Day lives in Chicago, where she is active in the Mystery Writers of America, Sisters in Crime, and International Thriller Writers. She teaches mystery writing at Story Studio Chicago. 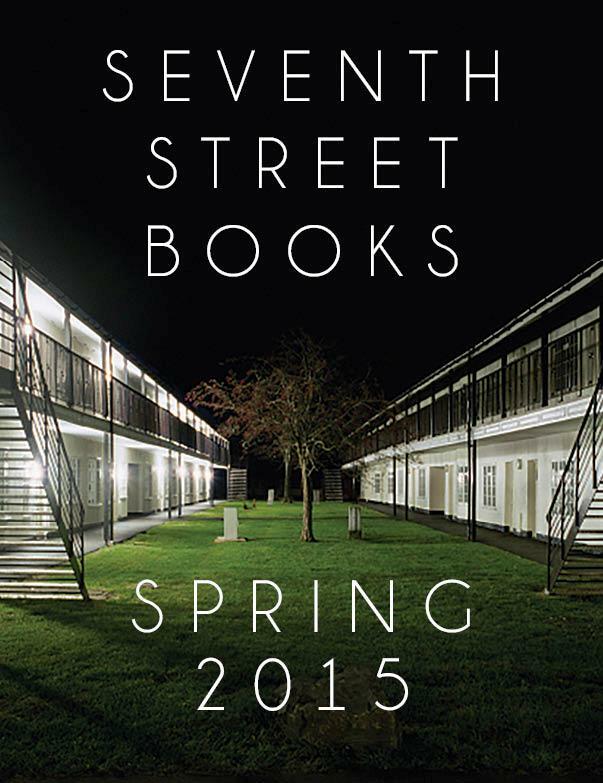 For the latest on Seventh Street Books? crime fiction, join us on Facebook, Pinterest, and Twitter.